At 1:00 p.m. the doors to Ballroom 20A at the San Diego Convention Center opened to 17 avowed geogeeks. Their mission: build a usable software solution for the good people of San Diego, California, using the ArcGIS platform and complementary third-party tools. The contest would be over and the winners announced in just 24 hours. 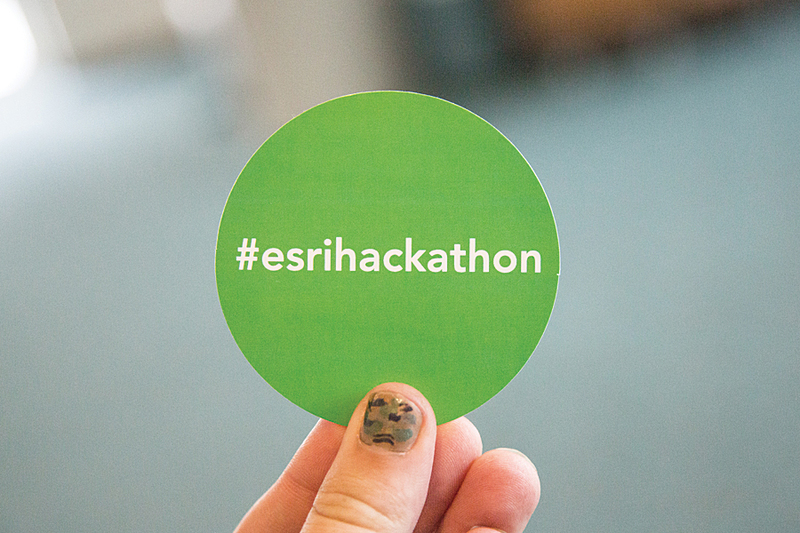 Esri and DigitalGlobe partnered for the inaugural Esri UC Hackathon. During the contest orientation, San Diego council member Mark Kersey summarized San Diego’s challenges in creating an Open Data Initiative and suggested issues in the region that could be addressed using the technology. 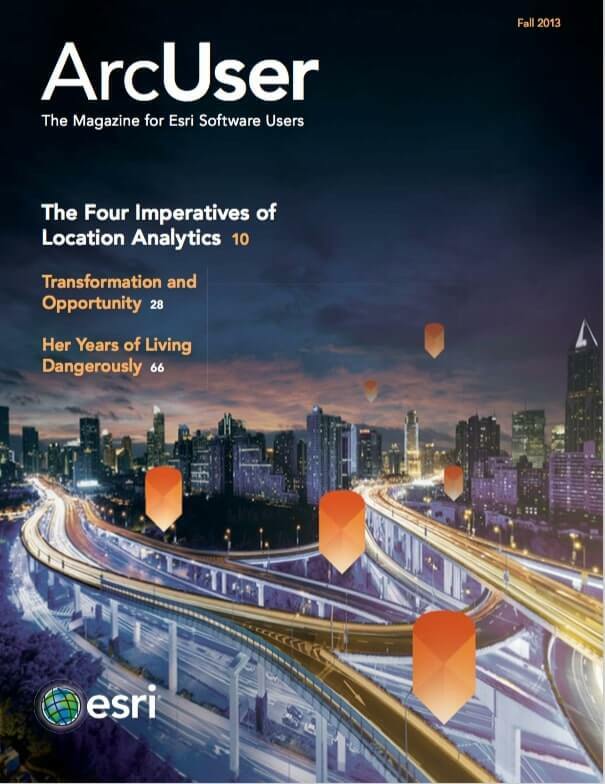 In addition to the new beta ArcGIS Developer Subscription, teams had access to DigitalGlobe 8-band WorldView-2 satellite imagery and data from the San Diego Data Library, Open San Diego, San Diego Association of Governments (SANDAG), San Diego Geographic Information Source (SANGIS), and the San Diego Apps Challenge data. Final hacks were due and presentations began on July 7 at 11:30 a.m. followed by judging and the awards presentation at 1:00 p.m.
Brad Hellyar, Jack Reed, and Ari Isaak created Notify 311, which captured first place in both the Esri and DigitalGlobe contests. The app lets San Diego citizens report civic issues, from abandoned shopping carts to flooded areas, and sends notifications to the appropriate council member and any residents who subscribe. Notify 311 avoids the contract issues and maintenance downtime associated with the city’s existing proprietary 311 systems by using the city’s GIS infrastructure. “San Diego seemed to need a better way for citizens to report 311 issues in the city. We also wanted to utilize the existing GIS infrastructure that the city had in place. So this app came together with those two ideas in mind for a spatially aware 311 app,” said Reed, who has been developing apps that use GIS for three years. 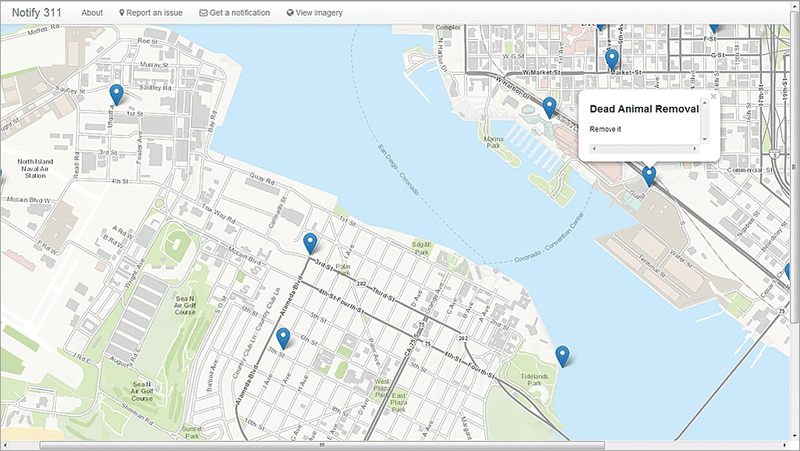 Notify 311, the first-place winner in the Esri UC Hackathon, lets San Diego residents report problems in the city. For their efforts, Hellyar, Reed, and Isaak received three Esri Developer Summit (DevSummit) seats, three Esri Developer Network (EDN) Standard licenses with ArcGIS for Desktop Basic, and a poster of a high-resolution satellite location chosen by the winners. The second-place app, My Farmer’s Market Today, addresses access to locally grown food, a trend that has been increasing in San Diego. Olmo Zavala Romero, Yazmin Valdez, and Elena Osorio-Tai, all students working on advanced degrees, had worked together before but had not previously created an app before collaborating on My Farmer’s Market Today. The app maps all the farmer’s markets in San Diego and surrounding areas and provides market addresses, hours of operation, and websites along with turn-by-turn directions to them. It can also filter results by day of the week. “We love challenges,” said Osorio-Tai. Although they got little sleep, time flew by, and they had a great time working on the app. For their second-place finish, the team received three EDN Standard licenses with ArcGIS for Desktop Basic. TapAMap Watersheds is an iPad/iPhone app designed by Scott A. Smith that lets students explore locations and update information about a place. It offers links to Wikipedia articles about nearby locations. US Geological Survey watershed data, used to prototype the app, supplies information on the region, basin, subbasin, watershed, and subwatershed for a location. For his efforts, Smith received a certificate for merchandise at the Spatial Outlet at the conference. Although Esri has been involved in other hackathons and held two hackathons at the DevSummit this year, this was the first hackathon held in conjunction with the Esri International User Conference. Esri is promoting hackathons as a great way for developers to meet others with similar interests, learn new things, and get their hands on the newest Esri technology.